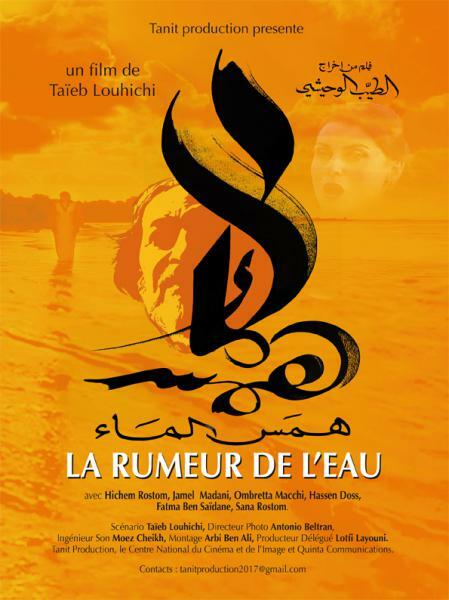 LA RUMEUR DE L’EAU Bande Annonce / RUMOUR OF WATER Trailer from Tanit Production on Vimeo. The return of an exiled man, tormented by his past, a lover and a militant. The director, returns to bring up the spirit of The Opera Didon and Aeneas of Purceil that he had to abandon 25 years ago. It is also a chronicle of the daily life and place of the new opera, Sidi Bou Said, after the Tunisian revolution.